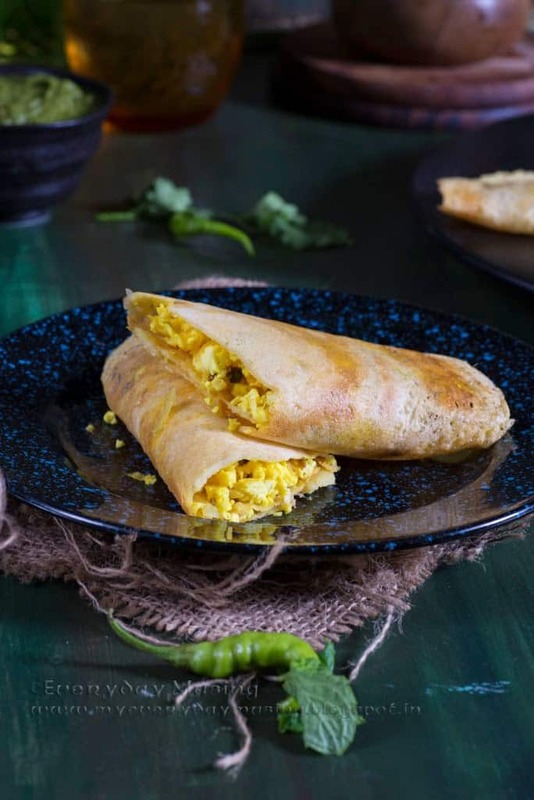 Paneer Moong Dal Chila..Breakfast is a very important meal for us and I am always on a lookout for breakfast recipes which makes a good lunch pack option for my kiddo as well. 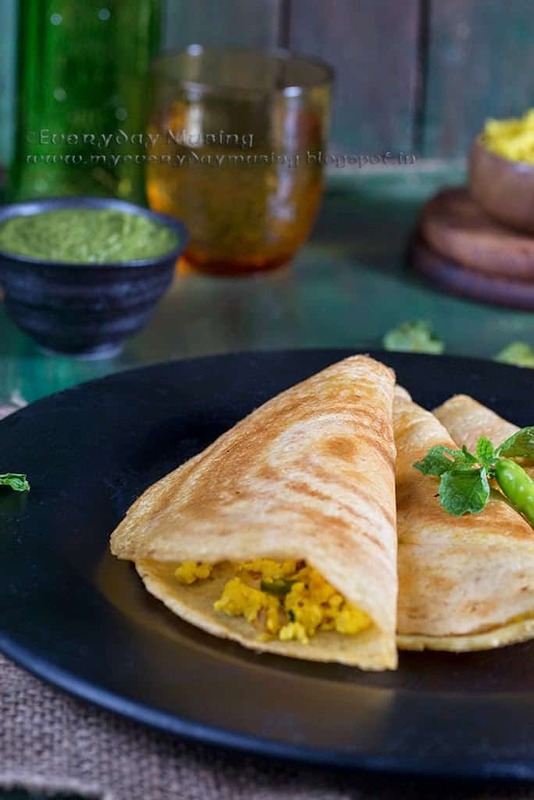 This Paneer Moong Dal Chila has always been a family favorite and I love how it can be prepared with so much ease and the health benefits associated with it. It also keeps good till the lunch time for kiddo and rolled and packed in an Aluminium foil, it is easy for him to munch on it without much fuss and dirty hands and cloths. 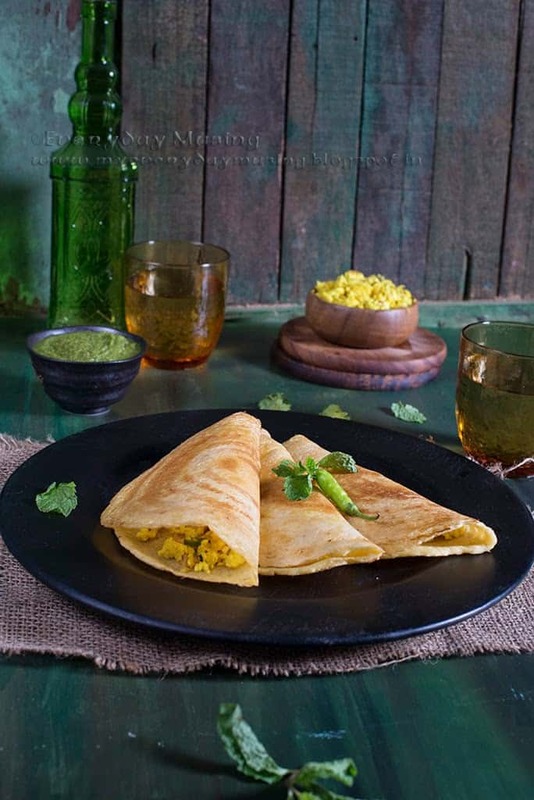 Here is how I make my Paneer Moong Dal Chila. When the oil is hot, add cumin seeds. When the seeds starts to crackle, add onion and green chilies. Fry till onion turns translucent. Add salt and turmeric powder and fry for a few seconds. Add paneer and coriander and mix well. 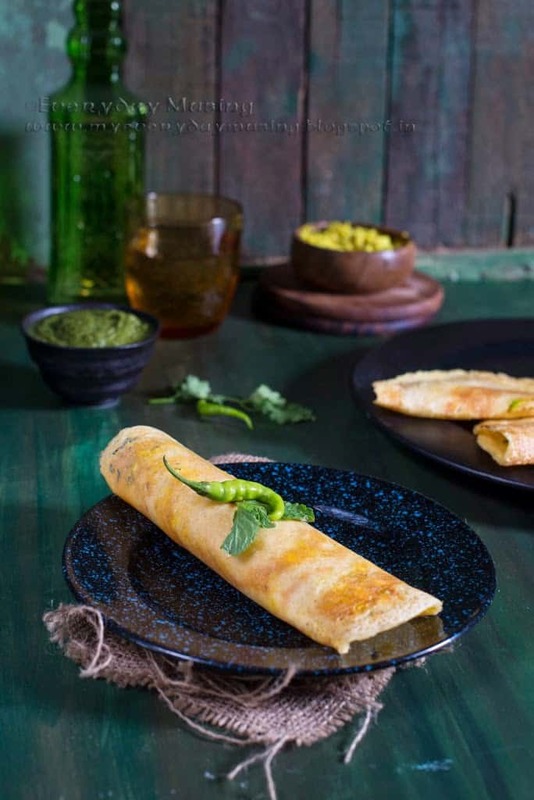 Grind the dal with ginger, green chili and little water to make a smooth paste. Heat a non stick pan and pour a ladle full of batter in the center. Spread the batter to make a thin round using the back of ladle. Pour a tsp of oil on the sides and cook till golden brown. Flip and cook the chila from other side. Keep 2 tbsp of filling on one half of the chila. 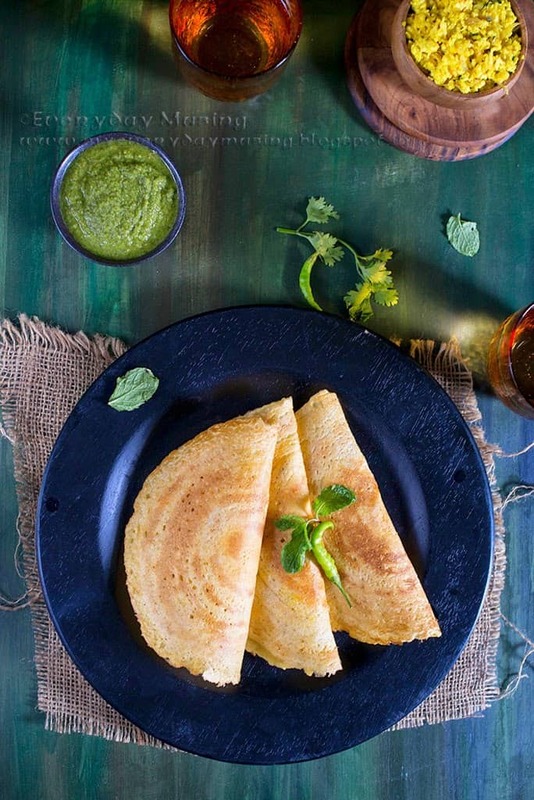 Serve hot with green coriander chutney. These look lovely! Great recipe!